Schedule now to see if veneers are right for you. We will not rest until you are happy with your new smile! 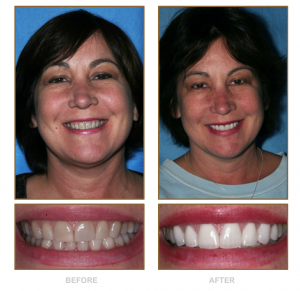 See our Before & After Gallery to see the changes in smiles of real patients. We provide the best dental experience available. Visit our Yelp page to hear what our patients have to say. Our top priority is quality, we use the best technology to give you the most natural looking smile. A porcelain veneer covers the front of your tooth with a covering that will last many years before needing to be restored. Our state of art the art dental laboratory will customize both the shape and color of each veneer to give you the most natural smile!